Top-quality locks, safes, and hardware guaranteed to keep your belongings safe and secure. When you want professional service, you can count on us. Exceptionally made locks to protect what matters most. 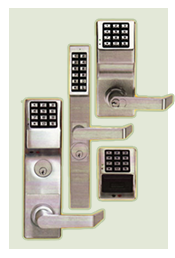 Our locks are specially designed to prevent unauthorized access by those with generic keys. We provide secure hardware that not only does the job but also looks great too. Our team is happy to match you with the perfect commercial or residential hardware. We can help you protect your most precious and important items with our top-quality safes. Whatever size or rating you require, we are happy to help. When you own a business, you want the assurance that when you lock the door, it remains that way. Our highly rated commercial doors can keep your business secure. When it comes to keeping your most important belongings safe and secure, you can turn to AAA Lock & Key for exceptional service. At AAA Lock & Key, we offer high-end safes, locks, and key services that will withstand even the most eager of entry attempts. We specialize in quality residential, commercial, and automobile locks and key services. All customers should have the peace of mind that what they lock up will stay that way. That is why we carry a wide variety of featured products that are guaranteed to be durable, reliable, and secure. Give AAA Lock & Key a call today! Your security is our business. There are many locksmiths in Illinois, so what sets us apart? For more than 40 years, we have been assisting our community with quality locks and key services in Glenview. We have a fleet of three separate vans that can be dispatched to your location when and where you need us. If you find yourself locked out, we also offer emergency locksmith services. Please give us a call for availability! All our staff members are extensively trained, licensed, and professional. With just one call to AAA Lock & Key, you will see for yourself why we are the top-referred locksmiths in Glenview! If you would like a full list of the services we provide, call AAA Lock & Key. We are happy to assist you with your locks, safe, and key needs! For more information regarding our locks and key services, contact AAA Lock & Key. Call 847-729-3366 to speak to one of our licensed professionals today!